A recently-concluded seminar in Hue saw a gathering of scientists and museum professionals discuss the impact of climate change on cultural heritage. 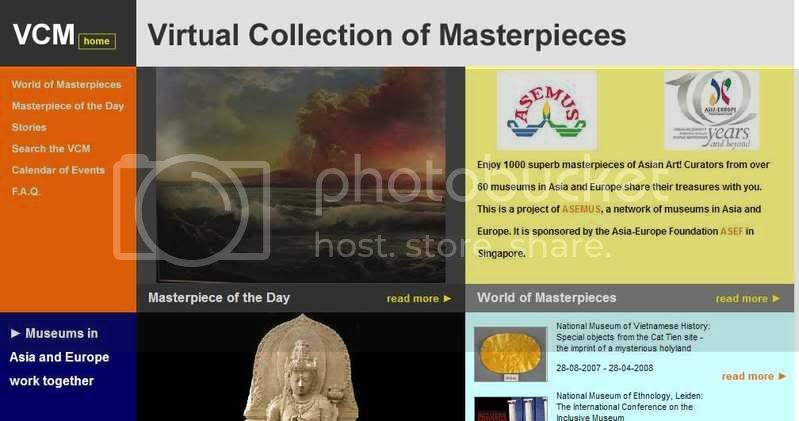 Three Vietnamese museums have been chosen to display their collections on a virtual museum – a collection of masterpieces from around the world. 15 March 2007 (Nhan Dan) – The Vietnam Museum of Ethnology receives donation of a Dong Son drum from a donor. The Vietnam Museum of Ethnology has added a Dong Son bronze drum to its collection thanks to a generous donation by a private collector. The Vietnam Museum of Ethnology has received a Dong Son bronze drum from Pham Dung, who teaches at the Ho Chi Minh City University of Culture. The more-than-2,000-year-old drum to the museum yesterday, nine years after he picked it up in Ninh Binh province. On the drum, which was used in harvest prayer rituals, are etched four toads with their heads directed clockwise, and concentric circles around a sun in the centre from where a dozen intricate and exact rays spread out towards the edge. 1 October 2006 (Viet Nam News) – A report on stolen sac-phong, royal honour-conferring edicts that date from the 14th century and also their digitisation as a means to preserve them. Ancient sac phong are now still being kept under one of two conditions, according to their content. Sac phong chuc tuoc, the “human” edicts, which bestow titles upon noblemen and officials, or praise people who deserve well of the country, are normally the property of a family. The other kind, sac phong than, which certify and rank genies or patron saints worshipped in temples and communal houses, are considered the common property of a village community, so they are kept in temples. The oldest sac phong date back to the 15th century, and are still preserved in the communal house in Diem Dien Township, in the northern province of Thai Binhâ€™s Thai ThuÃ® District. Sac phong were made from a special type of paper, called giay sac, which was used only for the kings to write their edicts. The method for making the paper was passed down through the generations of a family in the ancient Nghia Do Village, which is now Ha NoiTu Liem District. The paper was made from valuable material, with the imperial symbols of the dragon and phoenix drawn in gold, silver and metal grain. Recently, a group of historians and experts including those from the Viet Nam History Association, the Viet Nam Museum of Ethnology, and the National Library have rallied to protect the ancient sac phong, under the initiative and funding of the Sweden-Viet Nam Cultural Fund. Huu Ngoc, who is also president of the fund, says the project can be implemented in one of two ways. “First, we can hire experts to physically strengthen the documents and find ways to preserve them.” But Ngoc explains that each document would take about 10 days to complete and cost VND100,000 ($US6.25) to preserve, making this option virtually impossible given the large number of sac phong that exist in Viet Nam. The other option is to protect the words and decorations of sac phong by taking photographs with digital cameras. All of the images would be saved on disc with archival information detailing the names of the sac phong and where they are kept. All the discs would be listed as administrative units and kept at the National Library.